The post Slavery to freedom with a hijacked plane: Refuseniks’ Operation Wedding appeared first on Beit Hatfutsot. 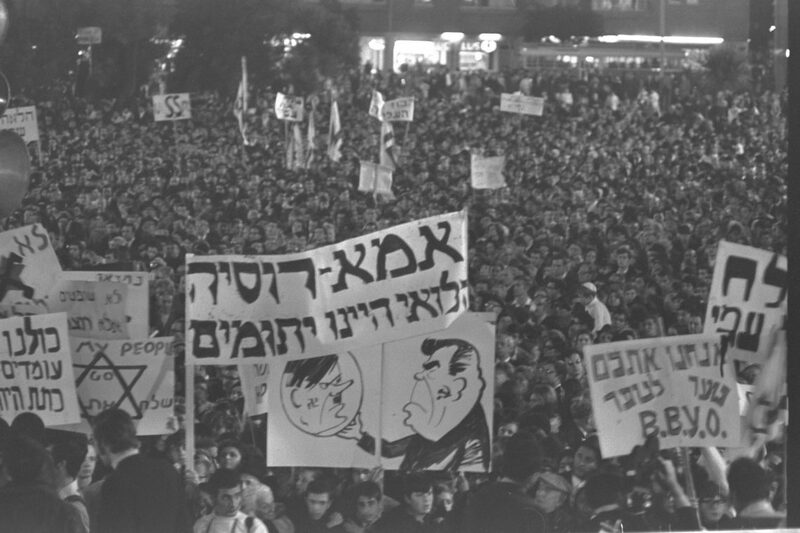 In Jungian terms, Israel’s sweeping victory in 1967 symbolized an archetypal revolution of the common Jew. The archetypal passive, docile, and persecuted Diaspora “galut Jew” – whom Bialik slammed in his poem “City of Slaughter” in 1903 – morphed into that of the brave, heroic, flawless “Jewish soldier” who destroyed his mortal enemy in six days of pure courage. The liberation of the Kotel provided a cathedral. It was not just the concrete liberation of the Jewish People’s holiest site – it was the spiritual and absolutely final liberation of the “galut Jew’s” flaccidity. The revolution of awareness began with the establishment of the Bar Giora organization in 1907; continued with the Hagana and the Jewish Underground in 1948 and the Sinai Campaign (Kadesh Operation) in 1956; and was completed in the nationalist crescendo of the Six-Day War. 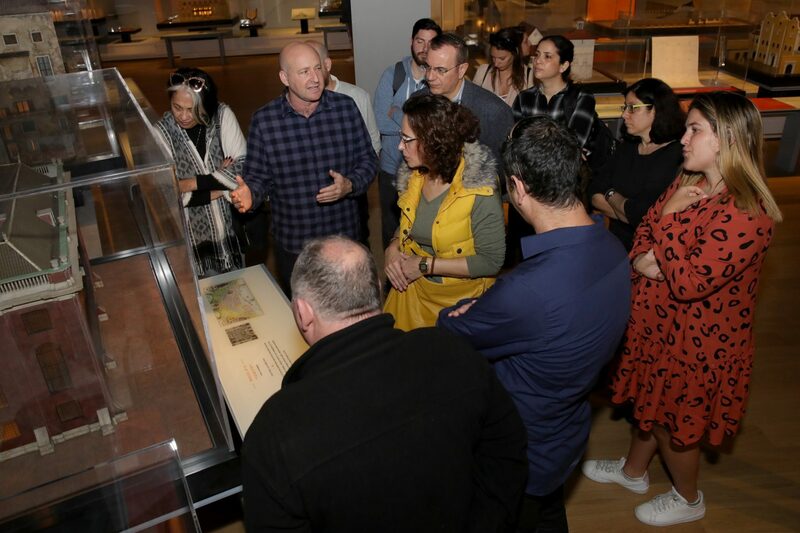 That created an emotional sound box that resonated not just among the Israelis who faced a real existential crisis in 1967 – but throughout the Jewish world. Among American, French, British, and Soviet Jews. They were all on a Messianic-Zionist wavelength that had not been seen since the Biblical Kingdom of Israel. But the circumstances of Jews in the former Soviet Union were unique. Unlike Jews in the free world, they were behind the Iron Curtain in the domain of a Soviet world power that supported and armed the Arab armies, and worked indirectly to destroy the State of Israel. The question of their dual, civic loyalty – the lot of every Jew living in the Diaspora – was in their case running on high octane. Add to that the daily threat of the secret police and a generally Orwellian atmosphere. That nearly made being a Zionist Jew in Russia into an oxymoron. That may be why “Operation Wedding” – the attempt to smuggle a group of adventurous Zionists out of the Soviet Union – is considered one of the most heroic events in the struggle to free Soviet Jewry. Mark Dymshits, born in 1927 in a small town near Kharkhiv, Ukraine, was the son of a typical Jewish family that had been successfully “re-educated” by the Soviet regime’s institutions. He suffered a personal tragedy in World War II, when both his parents died in the German siege on Leningrad. The family trauma and his identification with the Soviet cause led Dymshits to enlist on the appointed day in air force training and serve as a combat pilot in the Red Army. Upon his discharge as a major in 1960, he went to work as a pilot for a small airline in Bukhara. Like many Soviet Jews, news of Israel’s stunning victory against the Arab armies in the Six-Day War, anti-Semitism, and the anti-Zionist propaganda campaign of a government that supported those armies during the war – ignited a Zionist flame in Mark’s heart and a yearning to make aliyah. But in those days, the chance of obtaining a permit to emigrate to Israel was equal to that of singing the Star-Spangled Banner in central Moscow without being shot in the head. Mark lived in the Diaspora, but he was not a “galut Jew.” He hatched a daring, revolutionary, and creative plot to skyjack a plane in Leningrad and fly it to Sweden. His search for partners led to Hillel Butman, an operative in Leningrad’s Zionist underground cell. The two of them formulated a plan in which the plane’s passengers would be Zionist Jews who sought to make aliya. Their cover story was that they were traveling to a large family wedding in Stockholm (hence the name of the operation). They decided to take control of the cockpit without arms to avoid harming the pilots. If the pilots refused to collaborate in flying to Sweden, Dymshits planned to fly the plane himself. Dymshits and Butman presented their daring plan to the cell in Leningrad. The initial excitement of the cell’s members gave way to fear that the operation’s failure could put an end to the Zionist movement in the USSR. When they could not achieve a consensus regarding the plan, they decided to present a query to the Israeli government. They did so during the Pesach holidays and whether coincidentally or not (you decide), a Norwegian Jew named “Rami” entered Leningrad’s synagogue. The cell’s members sent the following question with Rami: What is the Israeli government’s opinion of the skyjacking plan? The message was conveyed via the Israeli Embassy in Oslo to Golda Meir’s Prime Minister’s Office in Jerusalem. The Israeli government’s response was negative. Members of the committee in Leningrad received a telephoned message that “The professor who is the leading medical authority does not recommend the use of the medication.” That categorical reply caused the people in Leningrad to drop the plan. But Dymshits was not assuaged and despite the Israeli government’s objections, he turned to a Zionist cell in Riga who agreed to collaborate with him. He shared his secret plan with Sylva Zalmanson, her husband and freedom-fighter Edouard Kuznetsov – who had already served seven years in prison for anti-Soviet propaganda – Sylva’s brothers Wolf Zalmanson and Israel Zalmanson, their friend Yosef Mendelevich, Arie Hanoch, Mendelevich’s brother-in-law and his wife Mary, and Dymshits’s family – his wife Ella and two daughters Yulia (age 15) and Lisa (age 19). The 12 members of the group arrived at Smolny Airport near Leningrad at dawn on June 15, 1970. They soon discovered that they were being followed, but decided anyway to walk toward “the noose,” as Hillel Butman called it in his book “From Leningrad to Jerusalem” – rather than away from it. A few steps before boarding the plane, Dymshits and friends were arrested by the KGB, who it turns out had known about the plan for months. 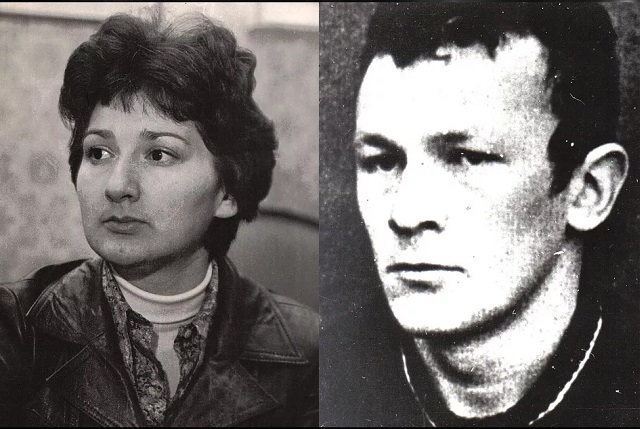 Leningrad Trial I, as the trial of the group’s members was called, began on December 15, 1970. The defendants were charged with high treason. Some of them were sentenced to prison and Dymshits and Kuznetsov were sentenced to death. Their sentence was reduced from death to imprisonment in response to international protest, and Dymshits was released in a prisoner exchange after serving nine years. When his plane for Israel took off in New York, the crowd applauded him. Dymshits worked in Israel’s military industry for seven and a half years before taking early retirement. He spent his last years painting in Rehovot. Dymshits died four years ago and was laid to rest next to his wife Ella. It is worth telling at Pesach his tale and that of his friends, anonymous heroes and freedom fighters, who breached the Iron Curtain to pave the way for the future great waves of immigration of Jews from the former Soviet Union. The post Avraham Kishke or Sonia Schmalz? Food and Jewish Family Names appeared first on Beit Hatfutsot. Gefilte fish is probably Eastern-European Jewry’s most famous dish. Other well-known Jewish delicacies include borsht, bagels and shmalz. Today, however, not many are aware that the names of these familiar foods are also Jewish surnames, as are babke, kishke, tzimes and more. 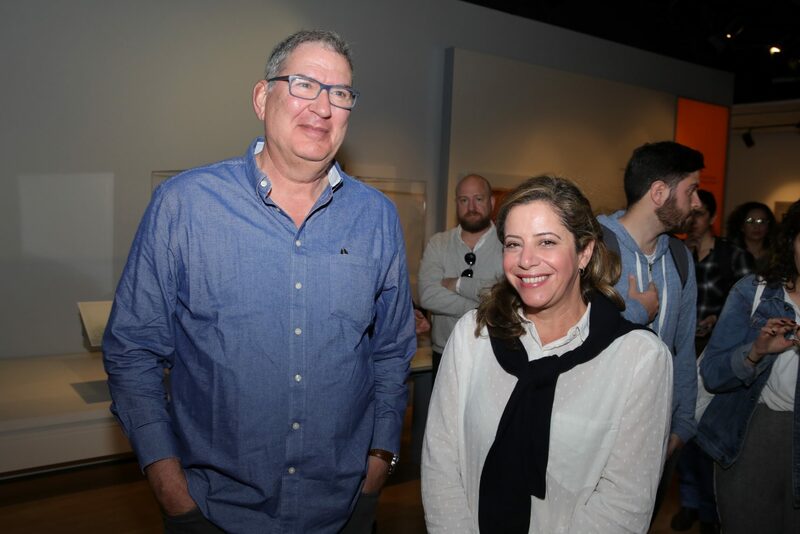 There are at least a hundred Israelis with the family name Herring, and over one hundred people in the U.S. bearing the last name Schmalz. Some family names originated from Yiddish terms such as Gitflaish (“good meat”), Vaisbroyt (“white bread”) and Feferkichen (a spice cake, sometimes translated as “gingerbread”). Others, such as Weisskraut (“white cabbage”) or Sauerapfel (“sour apple”) derive from German. Polish gave us such surnames such as Herbata (“tea”), Czosnek (“garlic”) and Obarzanek (a type of bagel), to name a few. Our ancestors in Eastern Europe had a special relationship with their food, as reflected in some of the family names that were adopted in the 19th century. Surnames deriving from Jewish dishes, spices, drinks and more were common among Eastern European Jews, especially in Poland, Galicia and in the Russian Pale of Settlement. An examination of this little-known onomastic category sheds light on Jewish historical culinary traditions and offers insight into the lives of Ashkenazi Jews. From biblical times, Jews had lived without family names. There was neither halachic requirement nor Jewish tradition wherein blood relatives shared a last name and passed it from generation to generation. The adoption of surnames by the Jewish population in Central and East European countries during the first decades of the 19th century was a result of legislation imposed upon them by the authorities of their countries of residence. The use of a kinnui (“nickname”), on the other hand, had been widespread among Jews across the globe since ancient times. The term kinnui was also applied to the adoption of vernacular or secular names, and it was common for many Jews — men and women, young and old — to be known by a nickname that was given to them by family or community members. These nicknames were derived from a variety of sources. Some reflected a physical characteristic such as height – Lang (“long”), Kurz (“short”), while some described other personal attributes such as Blinder or Shlepak (both meaning “blind”), Taube (“deaf”) and Grau (someone with a “grey” beard or hair). 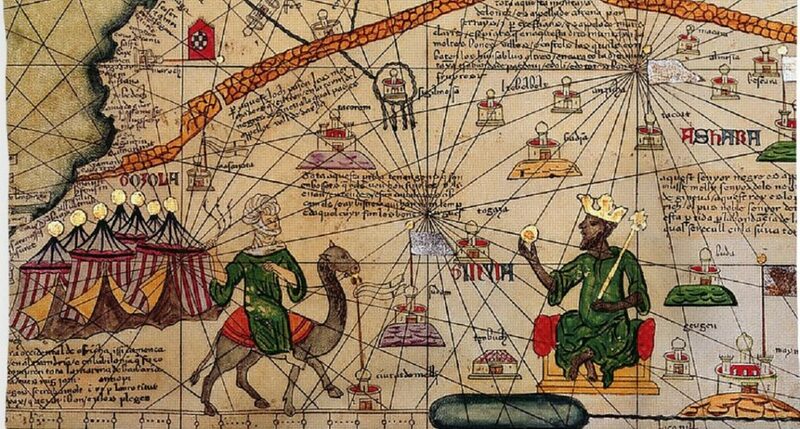 Other nicknames referred to intellectual abilities – Kluger/Kliger (“wise”/”clever”), Gelerter (“learned,” “scholar”) or to the socio-economic status of the person – Bednjak (from biedny, the Polish for “a poor man”) or Gazdag (“rich” in Hungarian). Bearing a nickname linked to an occupation, meanwhile, could have served as a business card. Impoverished parents needed to repair a pair of shoes so that a younger sibling could use them? Yankel Schuster (“shoemaker”) was the address. A broken window? Yosl Gluzman (“glazier”) was the expert. A challah for Shabbat? Moishe Semmelman (“roll maker”) had the best prices in town. What about a gourmand who enjoyed his plate of kreplach/krepl (“boiled pasta/dumpling”)? There is a good chance that his nickname would have been Kreppel. Perhaps that was the origin of the family name of Jonas Kreppel (1874-1940), a Yiddish German author and journalist born in Drohobycz, Eastern Galicia, who died of exhaustion after two years of forced labor in the Nazi concentration camp at Buchenwald. Last names derived from food and drink could have been either occupational or personal. While more often related to a person’s occupation, in some cases they may have referred to a person’s physical characteristics or mannerisms. When Jews were compelled to adopt family names in the early 19th century, it was only natural for these extant nicknames to turn into fixed hereditary family names. These surnames offer insight into everyday life in the historical Jewish communities of Central and Eastern Europe. The post I.D.F. 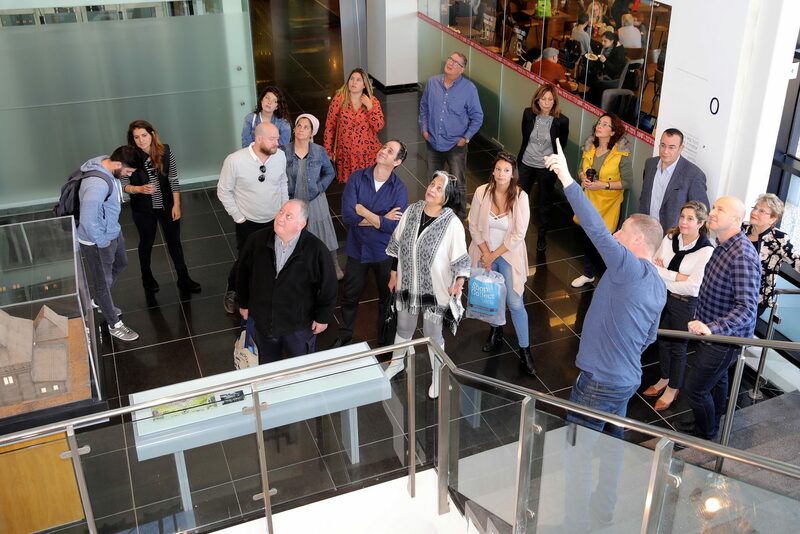 General Staff Forum visited the Museum of the Jewish People at Beit Hatfutsot appeared first on Beit Hatfutsot. I.D.F. 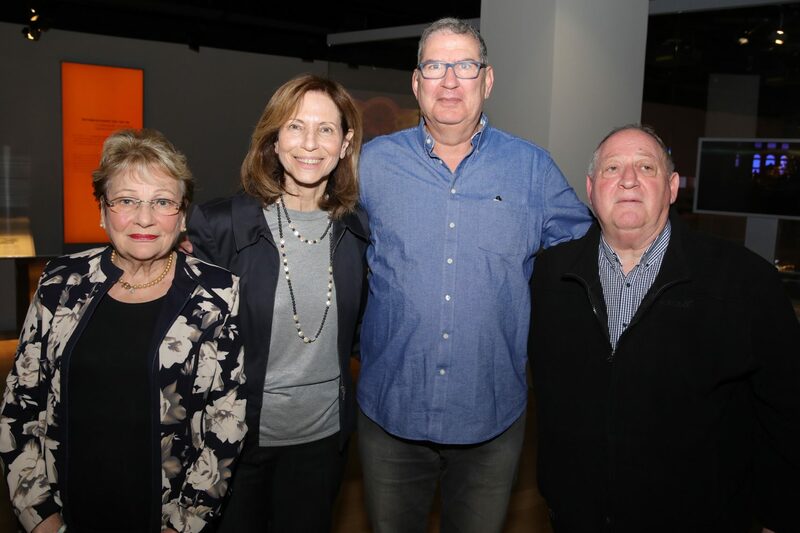 Chief of the General Staff, lieutenant general Aviv Kochavi and members of the General Staff Forum, found the time yesterday to leave their uniform at home for a few hours and enjoyed an amusing evening at Beit Hatfutsot in Tel Aviv. 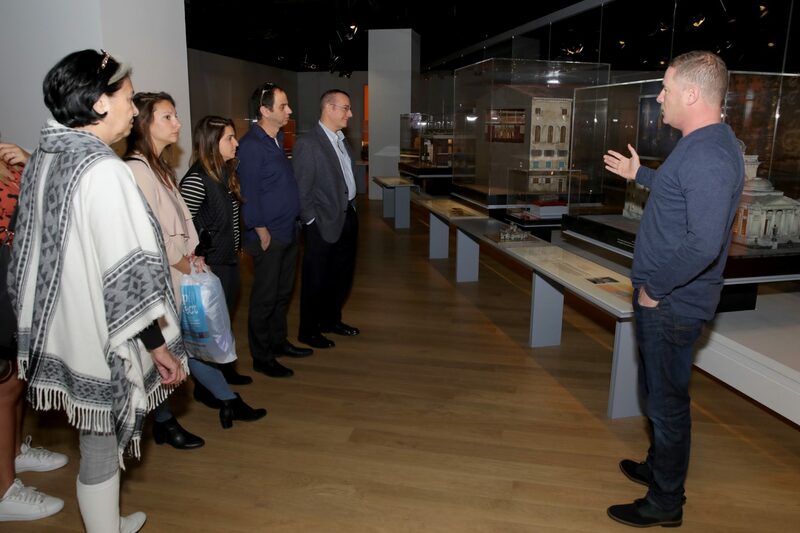 They were guided by Itamar Kremer, director of the Koret International School for Jewish Peoplehood, in the exhibition: Let There Be Laughter – Jewish Humor Around the World, celebrating Jewish laughter since old times until our days, with the Marx Brothers, Jerry Seinfeld, Lenny Bruce, Shaike Ofir, Sarah Silverman, Orna Banai, and so many others. The exhibition includes cutting edge interactive stations to allow visitors to have their say about what makes them laugh. 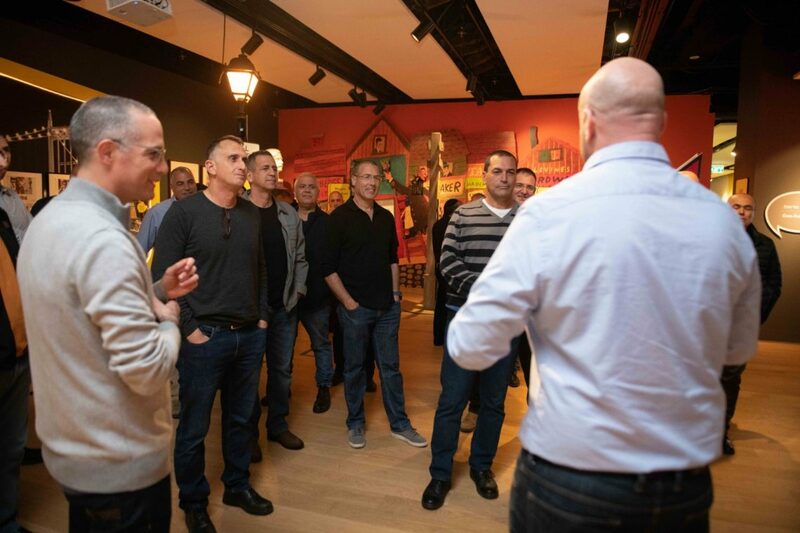 After the tour, the commanders enjoyed an entertainment show and a dinner at the museum. The post Alojzy Ehrlich: The Jewish Table Tennis Champion who survived Auschwitz appeared first on Beit Hatfutsot. Estee Ackerman, a 17-year-old Jewish girl from New York, is one of the top table tennis players in the United States, and is setting her sites on competing in the 2020 Olympics. As a Jewish table tennis champion, Ackerman is actually following in a long tradition of Jewish success in the sport. 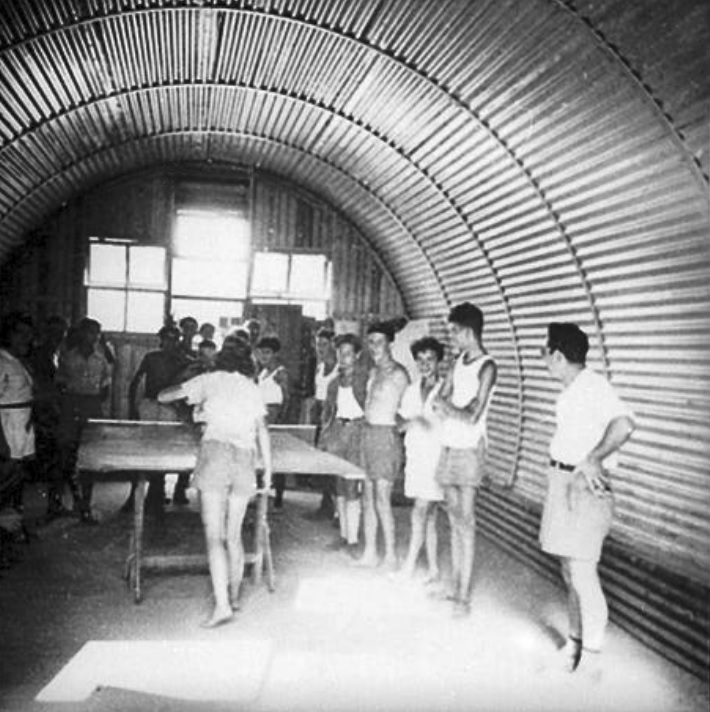 When table tennis began to develop and grow throughout Europe, many of the sport’s earliest champions were Jews from Eastern Europe and Germany. A number of overlapping factors led to a high rate of Jewish participation and success in table tennis. As a newer sport that took off during the early decades of the 20th century, it did not have the traditional barriers to Jewish participation that were officially or unofficially part of other, more established sports; there was little to no external opposition to Jews who were interested in the sport. Additionally, internal changes within the Jewish community made it a particularly auspicious time for increased Jewish participation in sports; the early 20th century saw a trend within many corners of the Jewish world to create a “New Jew,” one who left the study halls for a life that was more centered around physical activity. This meant that among Jews themselves it was becoming increasingly culturally acceptable—desired, even—for Jews to play sports. 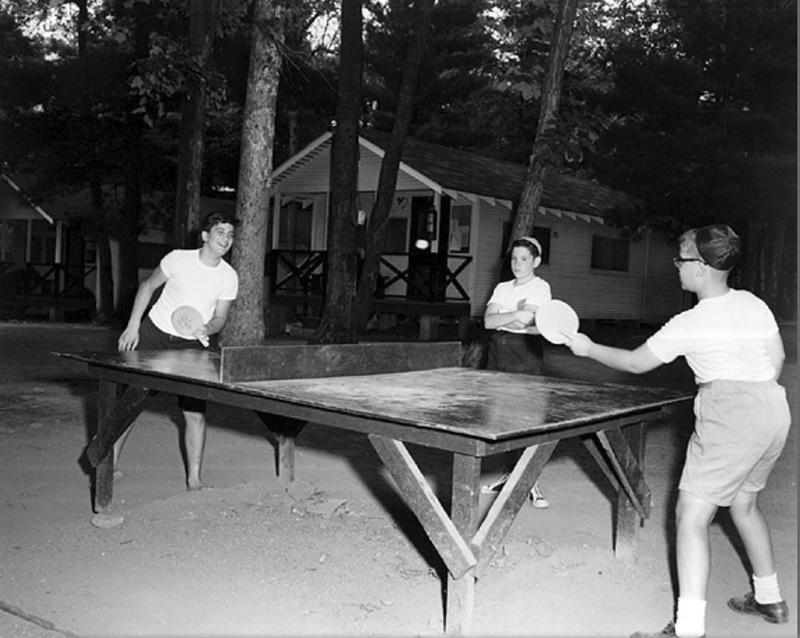 Table tennis, with its increased openness, was a natural draw for budding Jewish athletes. Alojzy “Alex” Ehrlich was one of the Eastern European Jews who was drawn to table tennis, ultimately dominating the sport. Born in 1914 in the village of Bukowsko, Poland, Ehrlich and his family later moved to Lwow where he began playing table tennis in the Jewish sports club Hasmonea Lwow. 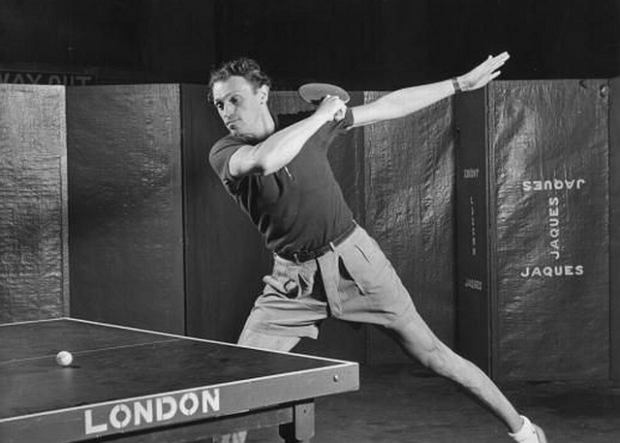 While playing with Hasmonea, Ehrlich became one of the top table tennis players in Poland, and in 1934 he was named as the 8th most popular sports player in Poland. The defining moment of Ehrlich’s career would come in 1936, during the World Table Tennis Championships in Prague, where Ehrlich competed against the Romanian, Paneth Farkas, another Jewish table tennis player. In what would become a record-breaking match for its length, Ehrlich and Farkas hit the ball back and forth in an exchange that lasted a total of 2 hours and 12 minutes. The ball crossed the net over 12,000 times. According to reports, after 70 minutes had passed, with the score still tied at 0-0, the players’ arms became heavy and tired—so Ehrlich switched arms and continued to hit left-handed. After 85 minutes the referee, Gabor Diner, had to be replaced because his neck had locked. Finally, after more than two hours had passed, Ehrlich won the first point after Farkas’ arm froze. But the game was not over. More than 20 minutes into the second point, however, Farkas had had enough, and “sent the ball and bat together sailing wildly over [Ehrlich’s] head [and]…ran screaming from the court.” After this match, the International Table Tennis Federation changed the rules of the game, declaring that games were to last no more than 20 minutes, with the winner being whoever was ahead at that point. Table tennis would ultimately prove to save Ehrlich’s life. During World War II, Ehrlich was sent to Auschwitz, where he was saved while on his way to the gas chambers after a Nazi guard recognized him as the famous table tennis champion, and pulled him out of the line. He ultimately survived the war and resumed his table tennis career, winning championships in Ireland, France, German, and the Netherlands. Ehrlich also coached table tennis players, developed new practice techniques, and opened table tennis centers in France. He passed away in 1992. In much of the Jewish world, table tennis has since moved from being a game that is played professionally to a popular sport to play informally, on basement tables during Shabbat afternoons—which is how Ackerman was first introduced to the sport. However, whether played competitively or just for fun, table tennis has been part of the Jewish story for nearly a century. Rabbi Rachel Druck is the Manager of International Foundations and Projects at the Museum of the Jewish People at Beit Hatfutsot. The post You have reached your destination: The Jewish cartographers without whom we would not have WAZE appeared first on Beit Hatfutsot. The post Frankfurt school: The Jewish intellectuals who made the 60s appeared first on Beit Hatfutsot. Shame. That word seems to best define what Orthodox Marxists felt after World War I. “How did the tweedy high-brow men who filled the salons of Berlin, Vienna, and London screw up our proletarian revolution?” they asked each other. Why was it a Russian nation comprised mainly of illiterate farmers that adopted the collectivist utopia – not the enlightened Germans, Austrians, English, and French? After all, the vision of our founding father Karl Marx maintained that after the profound capitalism that prevailed in early 20th century Europe, the workers of the world would unite in singing a throaty rendition of The Internationale. Just as they were still debating the miserable workers’ dire straits, the maid arrived to serve the cremeschnitte and warm cream. That was their “aha!” moment: There is no choice. Time to update. We have to go back to the drawing board and come up with a sleeker way to convince the masses addicted to the bourgeoisie’s opiates that they are living under false illusions. That is how the Frankfurt School was born. A brief history. In 1930, the German-Jewish philosopher Max Horkheimer was appointed to lead the Institute of Social Research at the University of Frankfurt founded by the then-young German-Jewish millionaire-with-a-Marxist-worldview Felix Weil. 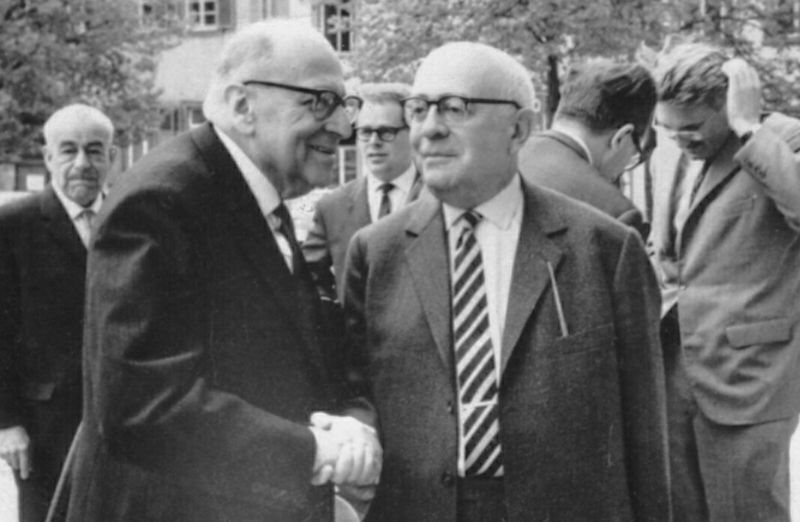 Horkheimer gathered a group of brilliant intellectuals including Theodor W. Adorno, Herbert Marcuse, and Erich Fromm. All Marxist intellectual Jews who believed themselves to be repairing a world ruled by Karl Halevi – the original Jewish name of Karl Marx. Three decades later, in the 1960s, that group was dubbed the “Frankfurt School,” a term synonymous with a critical-social theory that would become one of the most influential philosophies of the 20th century. The Nazis’ rise to power in 1933 exposed the Institute’s members to a dual risk – they were Marxists and circumcised. Some of them managed to flee Germany for the US, where they reestablished their Institute in New York adjacent to Columbia University. The Institute returned to Germany in 1949. But some of its members, including Marcuse and Fromme, remained in America. The Frankfurt School’s central conclusion was that it was impossible in the post-World-War era to rely only on Karl Marx’s economic analysis to explain the eternal class war. That a synthesis of multiple disciplines including sociology, philosophy, psychology, literature, political science, and – but not just – economics was required. They cited the advent of popular culture empowered by mass media (television, radio, music, and film) for the rise of a new more complex and sophisticated form of class war that was hard to discern at first glance. When Marx and Engels wrote the Communist Manifesto in the mid-19th century, the gap between the classes was profound. For example, Berlin’s wealthy industrialists attended concerts which the average worker could only dream. 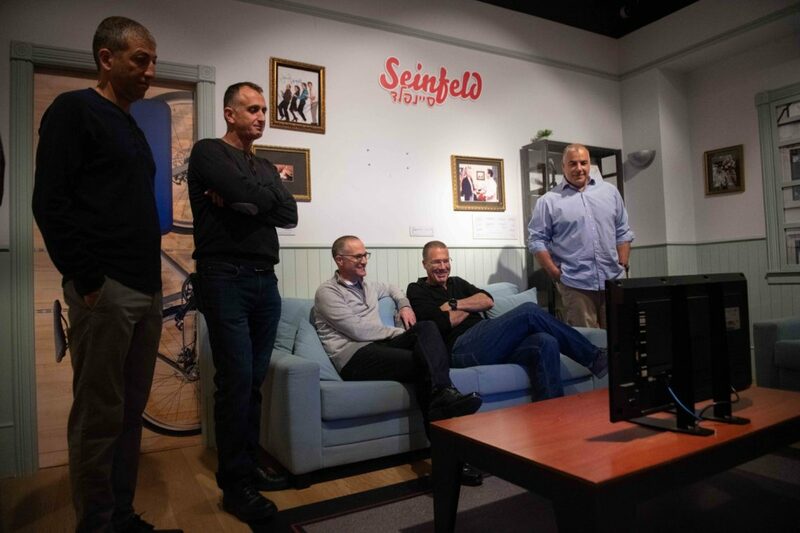 Now, claimed the Frankfurt School, the wealthy and the poor watch television. Exploitation of 19th-century workers by factory owners was replaced by the human mouse’s maze of flickering pixels, polyphonic communications, and advanced technology that brought the refrigerator, washing machine, and fold-up barbecue into the workers’ homes. They all created a monster, a bourgeois melting pot in which the rewards – aluminum siding, minimal backyard lawn, and car for every worker – were the means with which the rich kept the masses docile and content. The Frankfurt School’s members allowed that modern man trumped nature by means of advanced technology and science and did improve his financial circumstances. But they maintained that he also became passive and numb, subject to a gluttonous limbo of consumption, and addicted to the distractive stimuli that created “The System” to drug him and prevent him from living a full and significant life and experiencing real love and joy. 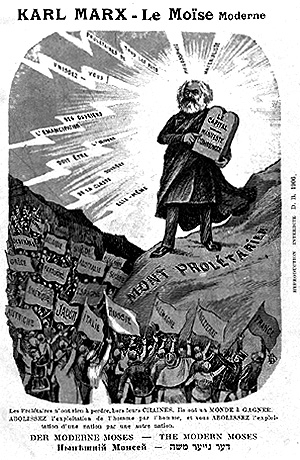 The school’s disciples replaced the Marxist ideology’s classic terms – “means of production, relations of production, etc.” – with the term “the culture industry”: a type of foundry for the creation of cross-media content that would tell people what to want, what to think, and how to behave. Like the nationalism and family structure according to old Marx, this would serve as a smoke screen, a cynical manipulation of the masses with the sole purpose of putting them to sleep. In other words, “the culture industry” filled the people’s leisure hours with entertainment to distract them from the boredom of automized labor. The flood of television programs, radio shows, commercials, billboards, and urban advertising noise had become so intense that it prevented the citizens from realizing that they were exploited, thus preventing them from resisting the socioeconomic machine. The Frankfurt School’s heyday came in 1960s America. The hippies in San Francisco, the Counterculture, and the Civil Rights Movement went searching for culprits and the Frankfurt School offered them the perfect nemesis: the system, the establishment, the mammoth and centralized monolith that manages itself in accordance with mechanical logic, apathetic and alienated to the suffering of man and the dreams of people. Thus, they passionately read Adorno and Marcuse to the strains of Janis Joplin, Bob Dylan, and Joan Baez enhanced by the curling smoke of marijuana. They were addicted. Full disclosure: The 1960s revolution of love was not socialist in its essence. It was a jumbled cocktail of half-baked ideas: extreme individualism, free love, yearning for authenticity, and a passion to be free of the System and “true to oneself.” When the hippies woke up, 20 years later, they looked in the mirror and saw conformist self-satisfied yuppies. In short, everything that they loathed 20 years ago. America was awash in the peak of a wave of capitalism. At least in the public-civic sphere, the influence of the Frankfurt School’s members had all but disappeared. In academia, on the other hand, the Frankfurt School’s critical theory became one of the main food groups of the behavioral sciences’ cathedra. Mainly in Europe and later in the US. 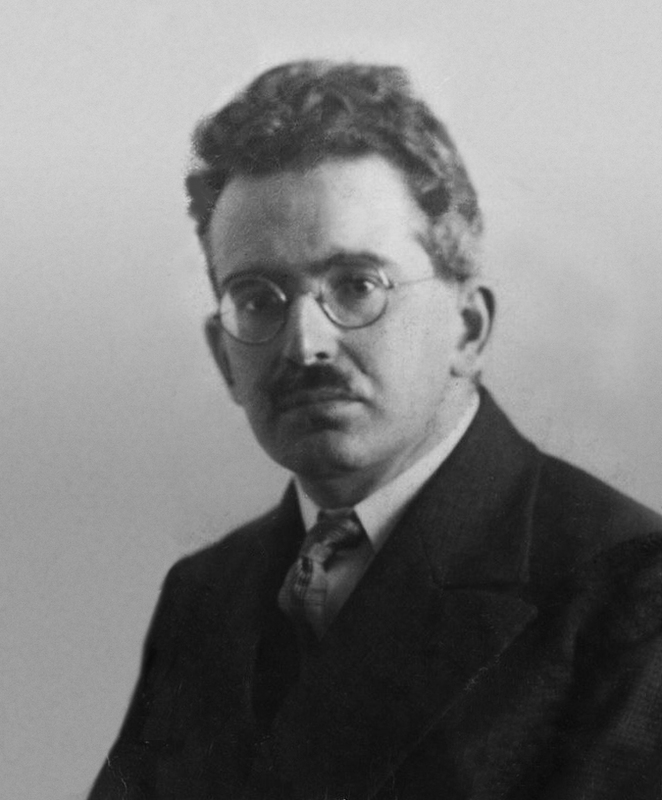 Marcuse, Adorno, Walter Benjamin and their heir Jürgen Habermas are rightfully considered the founders of the Neo-Marxist system and pioneers of post-modernity. Their right-wing critics claim that their reasoning destroyed academia set the stage for an obsessive polemic of identity politics, oppression of the “Other,” tracking in education, exclusion, and its accompanying word salad. But even their greatest ideological adversaries honor them and do not deny their tremendous contribution to thought and human spirit. 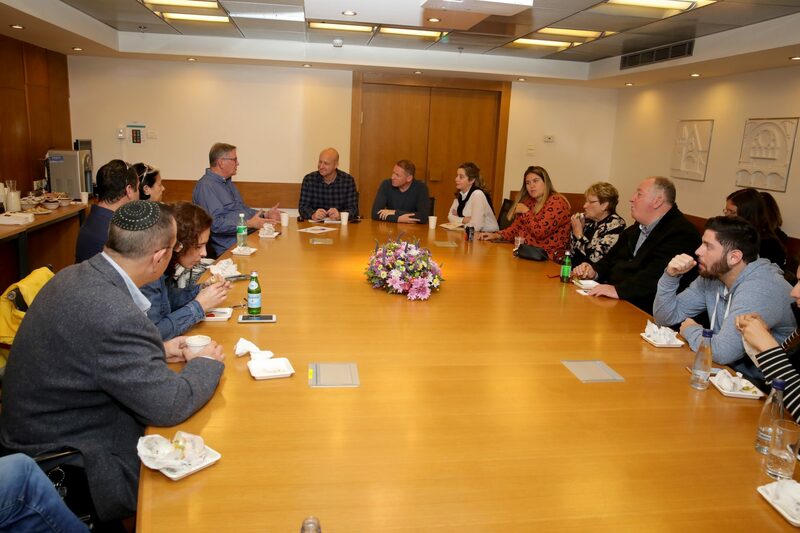 The post Management of Maccabi Israel Visited Beit Hatfutsot appeared first on Beit Hatfutsot. 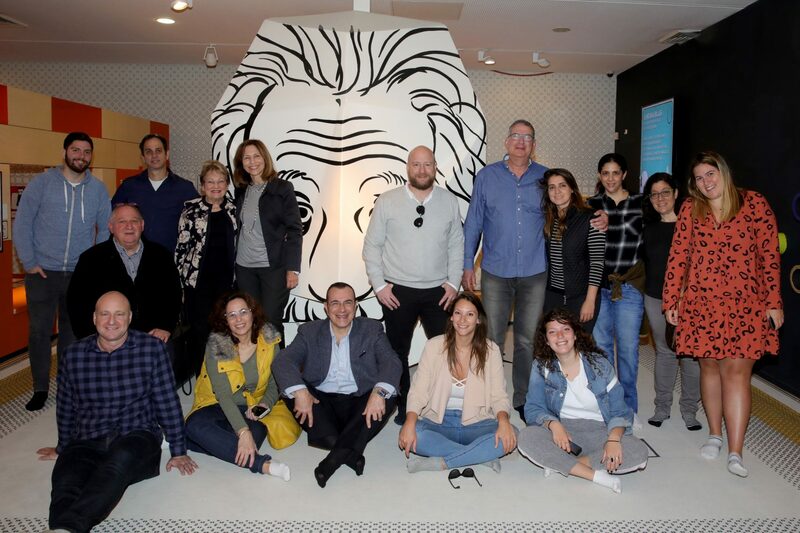 We were delighted to have the management of Maccabi, towards a cooperation between the Maccabi movement and Beit Hatfutsot, in which groups from South American, the United States and Europe are planned to visit Beit Hatfutsot. Among the distinguished guests were Eyal Tiberger, CEO Maccabi Israel, and Carlo Tapiero, deputy director-general of education. The cooperation will also include the 2021 Maccabia events. The post Bibo King: The Jewish chief of a Native American tribe appeared first on Beit Hatfutsot. Israel is awash in a wave of nostalgia. Hipsters model 60s styles in Tel Aviv. Khaki pants star in Fashion Week. And retro raves attract hundreds of victims of the Static and Ben-El era, who gather to trade stories about the First Gulf War to the strains of Queen songs. Foreign media notes that nostalgia also pervades this year’s Purim celebrations, with 50s and 60s costumes making a comeback. Two classics are the cowboy costume and that of his eternal rival in the Pan-American war, the Native American. Alongside the Palmahnikim, IDF soldiers, and cops and robbers that were ubiquitous costumes during the early years of the State of Israel, were the highly popular cowboy and Native American. The young State of Israel aligned itself with the “good guys,” brave cowboys who fought the stubborn, cruel “Indians”. As we grew, we realized that we’d been had. It wasn’t a fair fight. For 200 years, America was the scene of a genocide in which White settlers destroyed the Native Americans and their unique cultures. The European settlers brought not only progressive weapons, but an array of germs and diseases that annihilated the Native Americans, who lacked immunity to those plagues. Those who did not fall prey to disease or massacre were put in reservations – an American answer to ghettoes. In order to justify the carnage, Native Americans were marked as savages. But there were other Whites, who were more lenient. One of them was Chief Solomon Bibo. Solomon Bibo was born in 1853 in the then-Prussian town of Brakel. He was the sixth of 11 siblings. Solomon grew up on stories of his grandfather, Lucas Rosenstein, who left for America in 1812 to avoid the Prussian draft. Rosenstein fell in love with the intoxicating freedom of the early US. But eight years later, Rosenstein was forced to return to Prussia to look for a bride. He was very anxious to return to the US, but when his new wife refused to leave her family they remained in Prussia. Left with only nostalgia, Bibo’s grandfather hunched over in front of the wood-burning stove telling tales of his glory days in Uncle Sam’s country. He was surrounded by children – his sons, his daughters, and his grandchildren – who thirsted for his stories. Their grandfather’s remark that “In America, a man can do whatever he wants,” was particularly etched in their memories. Years passed and in 1860, Solomon’s Uncle Josef Rosenstein picked up the gauntlet and crossed the ocean to the land of endless opportunity. Josef belonged to what historians call “the German Age of American Jewry.” These single men had been disappointed in the People’s Spring of 1848. They brought their families to the New Land as soon as they were financially established. The prominent names of Jews in that era include those of the Guggenheim and Levi-Strauss (of denim-fame) families, who first made their living as peddlers. 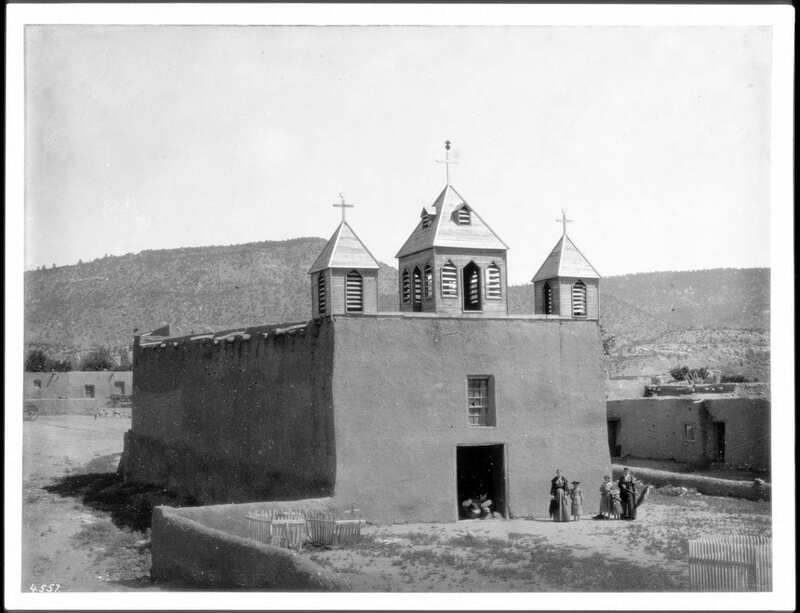 Josef settled in New Mexico in 1866, and was followed by two of his grandchildren, Simon and Nathan Bibo – Solomon’s older brothers. The two of them settled in Santa Fe, and worked in the commerce company of the Spiegelberg German-Jewish family. After the two brothers gained some business experience, they opened several stores in the area. In 1869, 16-year old Solomon emigrated to the US to join his two older brothers. After a number of months on the East Coast in which he learned English, he joined his brothers’ concerns in New Mexico. The Bibo Brothers company enjoyed excellent relations with the local Native population. But the youngest brother, Solomon – whom the locals called “Don Solomono” – showed particular interest in their Native American culture. 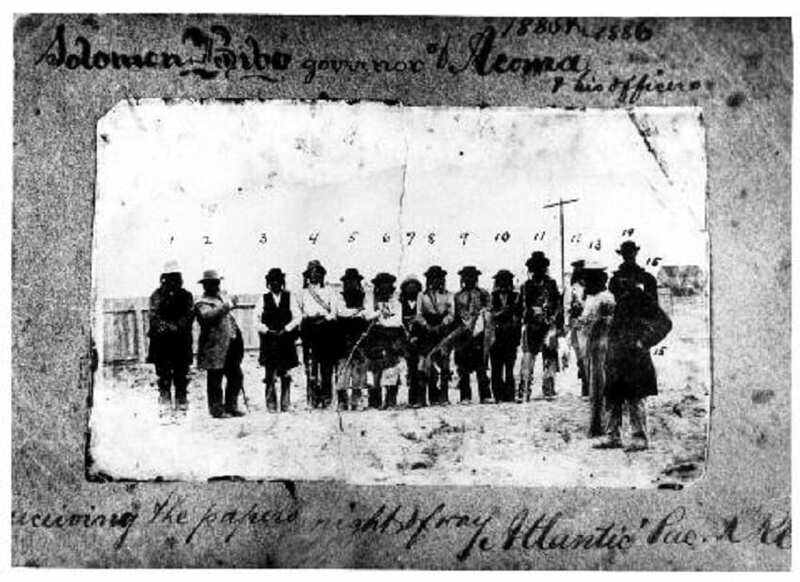 In December 1882, young Solomon opened a trading post on lands owned by the New Mexican Acoma tribe and quickly became friendly with the tribe members and learned their language. He then fell in love with a Catholic tribeswoman, Juana Valle, the well-connected granddaughter of a former Acoma governor. Marrying out of the tribe was taboo, but the tribal leaders were very fond of Solomon and permitted the union. The couple married in August, 1885. The wedding was not in accordance with Jewish law, but Solomon clung to Jewish tradition and his wife adopted Jewish customs. Another and far more interesting version of the story maintains that the marriage of Solomon and Juana was arranged to protect the tribe from the Federal government. 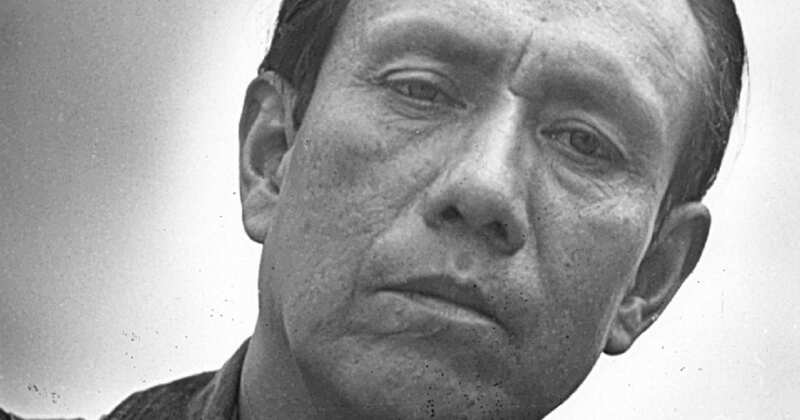 According to this story, Solomon rented the tribal lands for 30 years one year before they married – to the chagrin of the American Federal government who had intended to seize the land. The government accused Solomon and the tribal leaders of collaborating to produce a “fictitious marriage” to prevent appropriation of the land. Whether this is truth or a malicious spin, Solomon and Juana are known to have lived a full and significant marital life. They were loyal to each other; established a family; and lived happily and well until the ends of their lives. Years later and still in office, Bibi opposed conservative forces in the tribe who objected to his new approach, particularly in education. When his term ended, he assisted the government in detaining and replacing the acting tribal governor, who supported a violent campaign of some of tribe members against younger members who adopted a progressive path. 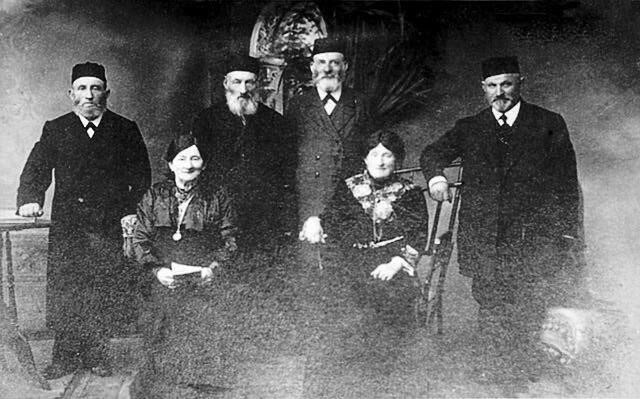 The ensuing tension and his desire to provide his children with a Jewish education caused Bibo and his family to move to San Francisco in 1898. From there, he continued to operate his New Mexican businesses and invested in major real estate in Northern California’s biggest city. The Great Depression destroyed a significant portion of his business and, in May 1934, Solomon Bibo, the first non-native American Jew to lead a tribe, went to his final reward. It turns out, his grandfather was right. In America, a man can do whatever he wants. The post The Sorrows of Young Walther: Weimar’s forgotten Jewish leader appeared first on Beit Hatfutsot. 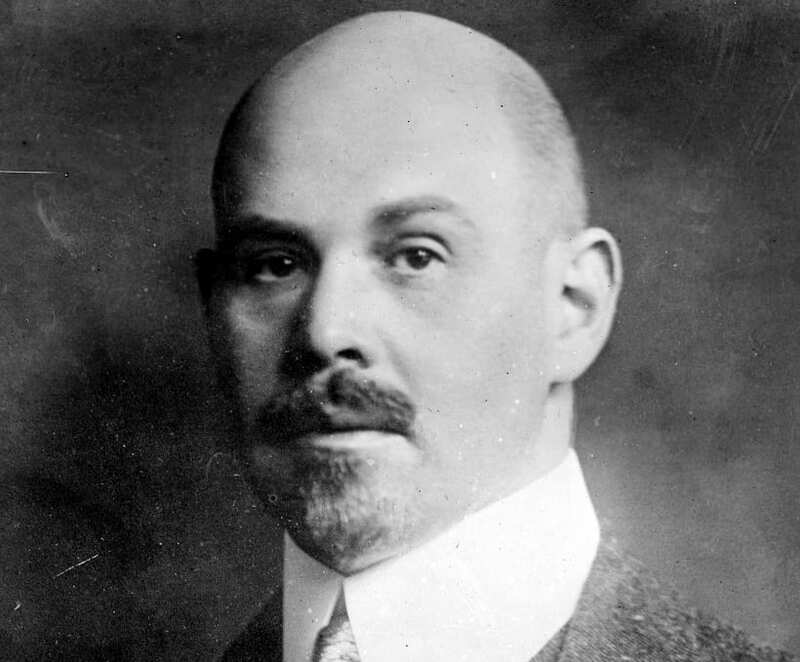 We can venture a guess as to what Walther Rathenau had on his mind during the few moments he lived after extreme right-wing assassins riddled his upper body with bullets in his hometown of Berlin. Perhaps one of the early 20th century’s greatest statesmen thought: My lifelong conflict has finally been solved. I am finally rid of the internal struggle that has plagued me since birth – the question of who I am. A member of an inferior Asian tribe or the exalted Prussian elite? A descendant of Moses and Aaron or Schiller and Goethe? A Jew or a German? This man’s heart grappled with many contradictions that ended in a curse rising from the basements in proto-Nazi Germany’s capital: You are a Jew. That is what the callous uncircumcised have ruled. In your home. As you go out. And on the day of your death. One can only hope that at that moment, young Walther was finally at peace as he returned to his Maker. One of the most astounding factors in Walther Rathenau’s life was how his looming image was erased from Jewish memory. In other words, how the State of Israel failed to memorialize one of the 20th-century’s most brilliant and highly esteemed statesmen, who spared Germany from post- World War I bankruptcy and served as the Weimar Republic’s legendary Foreign Minister? It is quite amazing. In 1881, Emil attended the International Exposition of Electricity in Paris and saw an electrical light bulb invented by one Thomas Edison. That turned the Jewish engineer on, and he immediately pulled out his notebook and sketched the bulb. When he returned to Germany, he upgraded Edison’s invention, and years later, established Germany’s first electric company. In time, he brought the telephone to Germany and ushered in the empire’s wireless age. Upon his death in 1915, his electric company employed about 70,000 workers. His son Walter, the hero of our story, was raised in lavish wealth on the family’s posh estate in the Berlin suburbs. He was surrounded by servants, nannies, tutors, and works of art. His cousin, Jewish artist Max Lieberman, was among the 20th century’s greatest impressionists. Walther spoke Parisian French from an early age and peppered his haute German with quotes from the finest romantic literature. His mother, Matilda, took great pains to educate her children. The value of education reached a pinnacle in the late 19th century and German-Jews placed themselves at the peak of culture. Two decades after achieving emancipation, they were not about to pass up this opportunity to be more German than the Germans. At age 30, Rathenau managed one of his father’s electrochemical plants in Bitterfeld; and 10 years later, he served on the boards of nearly 80 major companies. He also painted, sculpted, played the piano, and wrote books of poetry, politics, philosophy, and economics. His greatest achievement came in World War I, when he was appointed to coordinate financial matters during the war, and in no small part, ensure Germany’s economic survival. Despite his accomplishments, he was forced to leave his post because of opposition among sectors of the government to his Jewish origins. His talent ultimately trumped his extraction. In 1919, Rathenau was nominated chief financial advisor to the government, and at the end of the war, he served as its minister of rehabilitation of the Weimar Republic, Germany’s last stab at founding an enlightened, democratic regime before the advent of the Nazi inferno. In January, 1922, Rathenau was nominated Foreign Minister – the highest position any Jew had ever achieved in Germany. 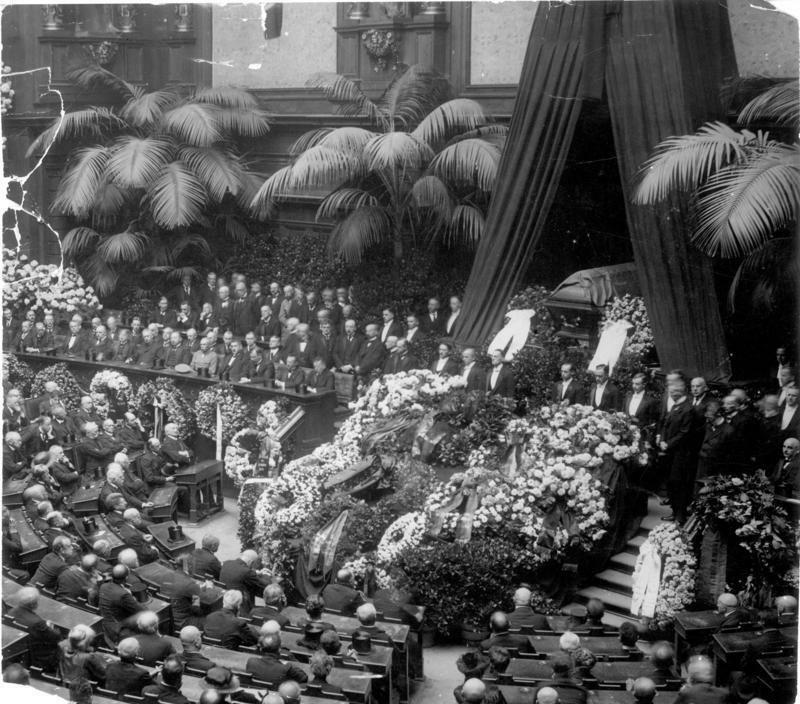 On June 24, 1922, Rathenau was riding his convertible on a street in Berlin when three hit men from extreme right-wing factions assassinated him. The murder rocked the public. More than a million people escorted his coffin, and a general strike erupted on the day of his funeral. It took little more than a decade before the assassins’ factions entered the government, a human monster awoke from its slumber, and Walther Rathenau became a forgotten memory. The post Despite it all, a Funny Girl: The story of Jewish comic Fanny Brice appeared first on Beit Hatfutsot. Itzig Stern did everything possible to hide his Jewishness. He took pains to lose his Yiddish accent, read only anti-Semitic papers, and underwent dozens of plastic surgeries to fix his beaked nose, doe-like eyes, meaty lips, and thick tongue. His efforts paid off when he married a German-Christian bride. But the charade was revealed when he got drunk on his wedding night. As to Hollywood and plastic surgery, one day in 1923 a famous Vaudeville actress, Fanny Brice, walked into plastic surgeon Henry Schireson’s private clinic. The Jewish chatterbox was determined to trim her hawk-like nose. In an industry controlled by men, a Jewish woman faced two strikes against her. Not long before that, a New York Times article had insisted that Fanny Brice’s nose must go. Brice was deeply insulted. Those were times in which America vilified strangers. A year later, the US enacted the Immigration Act of 1924, closing the gates of the land of infinite possibilities to immigrants. 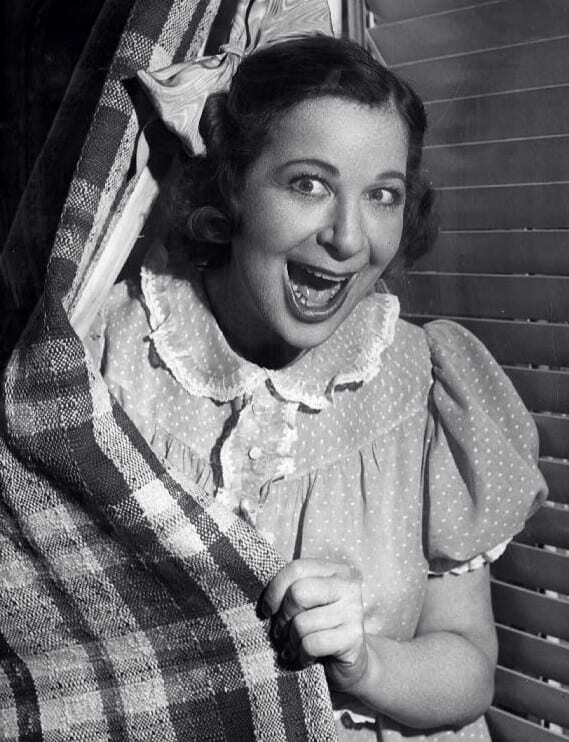 Fanny Brice wasn’t an immigrant. She was born in Manhattan in 1891 to a well-established Jewish family. Unlike the millions of Jews huddled on the Lower East Side, Fanny’s parents wisely left Hungary for America moments before Jews from the Pale thronged to the US. As the comic was to learn, in life timing is everything. Fanny grew to be a stormy, rebellious teen. She dropped out of high school at age 17 to appear in burlesque and quickly outshine her female colleagues. In 1910, the legendary Florenz Ziegfeld Jr. hired her to appear in his Ziegfeld Follies, in which Fanny starred off and on until 1936. The long, thin Fanny had a stem-like build, a long nose, and a broad mouth. She was the type of comic who provoked waves of laughter before she uttered a word on stage. Did the surgery meet her expectations? Spoiler alert: No. 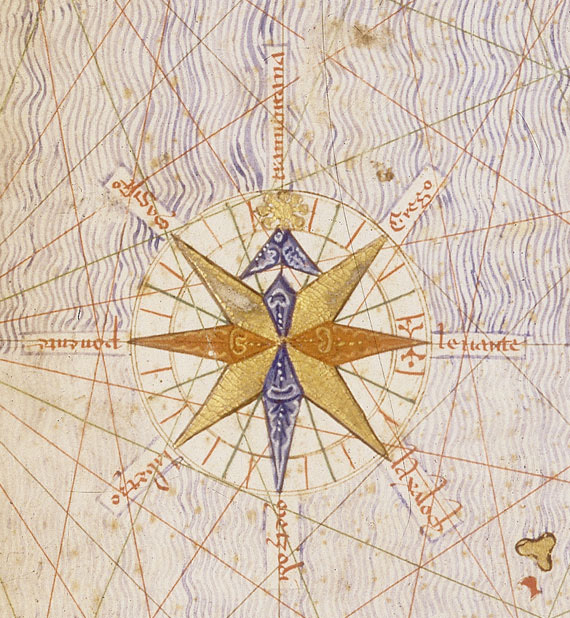 Fanny’s profile was abbreviated – but not to the extent that she wished. Nor did it make her less funny. Moreover, her second husband of three, gambler Julius “Nicky” Arnstein, declared that he was no longer attracted to her after the nose job. A more likely explanation was that he never came home after leaving prison and saddling Brice alone with two children. 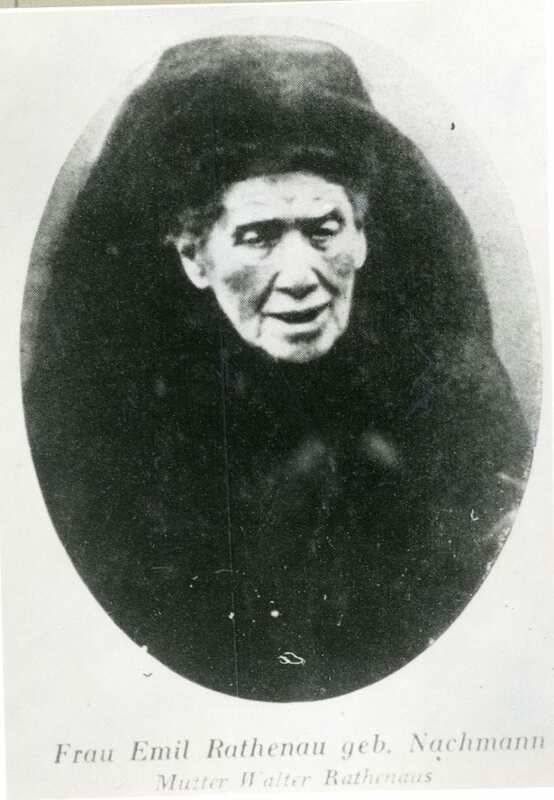 Fanny rose to the occasion and reinvented herself. This time it was backstage and far from the bright lights – on radio. Her portrayal of Baby Snooks, a toddler with a big mouth who talked back to a “Daddy” played by Alan Reid, made her a historic hit. Millions of listeners tuned in on Thursday nights to laugh out loud at the series of “innocent” questions that Baby Snooks posed to her daddy. Snooks’s annihilation of societal norms left her father tongue-tied. The program ran for 21 years and hosted such greats as Frank Sinatra, Bing Crosby, and Bob Hope. In 1951 after years of appearances in film and Broadway musicals, Fanny appeared as Baby Snooks on a CBS television program costarring Henry Stafford. But she quickly returned after that to radio, far from the scrutiny of viewers who judged her from head to toe. She joined the cast of Tallulah Bankhead’s well-sponsored The Big Show. At its height, it was radio’s answer to Saturday Night Live, and Fanny appeared alongside big-name comics including the Marx Brothers. 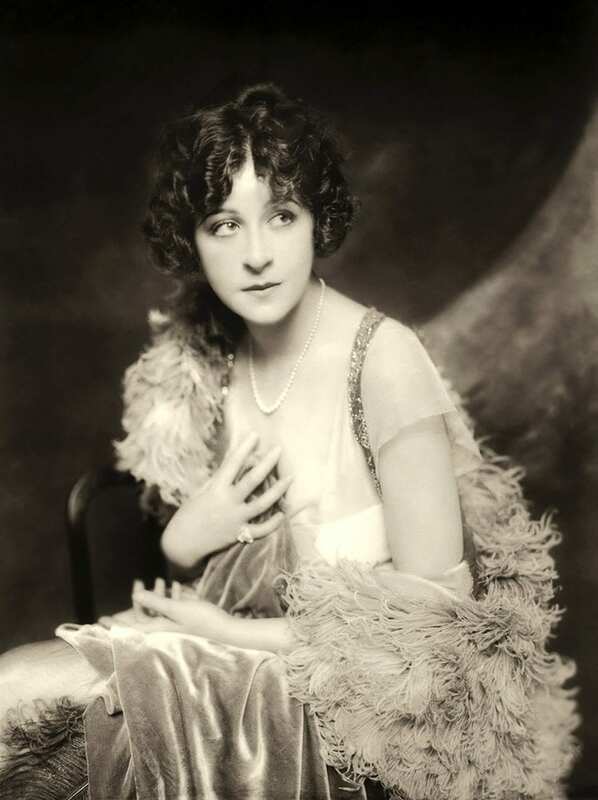 On May 19, 1951, when she was only 59 and a mere six months after her debut on Tallulah Bankhead’s program, Fanny Brice died of a massive stroke. That night, The Big Show aired in honor of her memory. 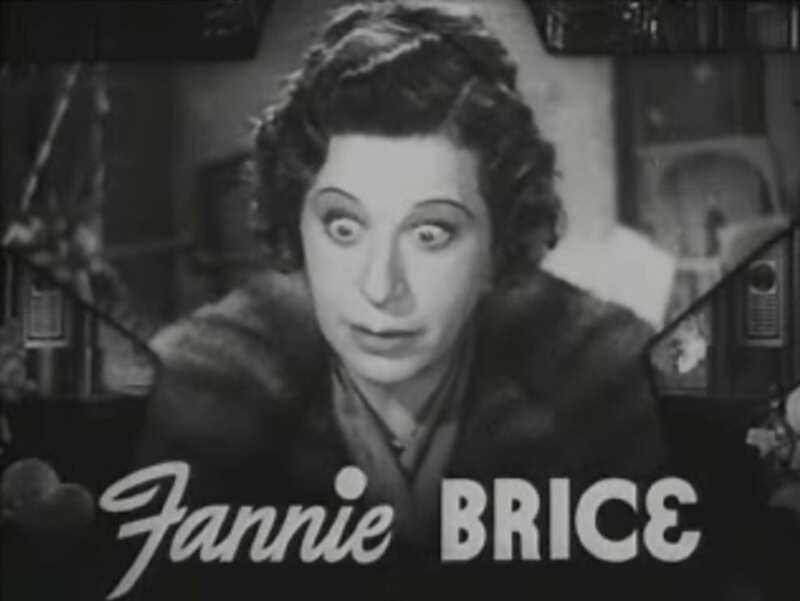 Fanny Brice was revived 17 years later, in the form of Barbra Streisand’s portrayal of her in Funny Girl – a film that depicted the ups and downs of Brice’s famous career and her relations with gambler Arnstein. Streisand earned an Oscar for her role in the film. The perfect casting was nothing less than Fanny Brice 2.0. Both grew under the bright lights of show business. Both were highly gifted. And both sported one hell of a Jewish schnoz smack dab in the middle of the face. But Streisand was proud of her Jewish nose and refused to surrender to pressure to undergo rhinoplasty. Therein may lie a secret. They said of Cleopatra that had her nose been shorter history would be different. Perhaps, one need only look at the prominent noses of Itzig Stern, Fanny Brice, and Barbra Streisand to understand the comic-tragic fate of the Jewish people.